Royal Ascot is the absolute zenith of horse racing on the flat in Great Britain and Ireland, with this year's meeting set to involve a stellar cast of superstar thoroughbreds. There are already some hot favourites among the 30 races, but that also means there's each-way value to be had on backing horses at bigger prices. That's what SpeculativeBet.com is all about, so here are five bigger price punts to consider. French-trained, Godolphin owned three-year-old colt Wootton lost his unbeaten record last time out during his first crack at Group 1 company but got hampered at a crucial late stage when looking like he would run into contention. He was beaten just two lengths down in fourth by Olmedo at Longchamp over 1m. That is the distance of the St James's Palace Stakes, one of the feature races of the opening day at Royal Ascot, and a contest connections have successfully targeted in recent years. Three of the last five winners have carried the famous blue silks of Godolphin, including Barney Roy 12 months ago, so could that record be enhanced to four from six? In Wootton, they have a colt who remains progressive, is very versatile as regards ground and three out of four at the St James's Palace trip. You can get 14/1 about him returning to winning ways and that looks smart each-way value for a horse officially rated 112. William Haggas has brought four-year-old filly Urban Fox back to the winners' enclosure on her first start for her new handler. The 1000 Guineas eighth from 2017 used to be trained by James Tate, but a change of owner saw her sent to a new yard. 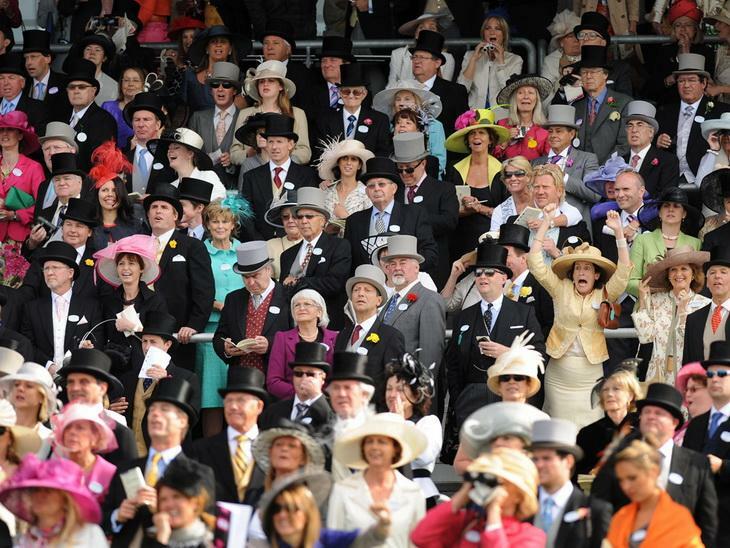 As a winner over the straight mile at Ascot, Urban Fox has options for the Royal meeting. Both of her potential outings are on Wednesday, with connections facing a choice between pitching her back into Group company for the Duke of Cambridge Stakes or going for the Royal Hunt Cup, one of the hotly competitive Heritage Handicaps at Royal Ascot. Urban Fox is a 12/1 chance for the Duke of Cambridge and a solid each-way betting proposition, but temptingly long at 33/1 - given her winning course and distance form - in the handicap which she is guaranteed to get in. Haggas has saddled a Royal Hunt Cup winner before, back in 1996. While we've been robbed of a rematch between star stayers Big Orange and Order Of St George, who had a mighty battle right up to the line in the 2m 4f Gold Cup at Royal Ascot last year, there are other angles to assess in this race. Michael Bell flag-bearer Big Orange misses the defence of his crown through injury, leaving Aidan O'Brien in pole position to plunder this Group 1 prize yet again. The main opposition to 2016 winner Order Of St George is set to be the John Gosden trained Queen's Vase winner Stradivarius, but he is unproven beyond 2m. With possible six-year-old French raider Vazirabad needing good-to-soft going or worse if he's to cross the Channel at all, it leaves some real each-way value to be had on who could fill the places. David Elsworth's Desert Skyline is an interesting contender. He has Group 2 winning form at 2m 2f in the Doncaster Cup as a three-year-old last season. Although Desert Skyline did not perform so well in his final start of the campaign and on reappearance both at Ascot, the going came up soft on both occasions. Torcedor comfortably beat him in the Sagaro Stakes, but that's another horse who needs cut in the ground, which is far from a given at the Royal meeting. Desert Skyline then dropped back to 1m 6f for the Yorkshire Cup during the Dante Festival where he chased home Stradivarius, before being beaten just three lengths on a sounder surface. Judged on that latest run, and provided there are underfoot conditions to suit, 20/1 for the Gold Cup looks worth an each-way punt. Tim Easterby is set to send his relatively unexposed Wells Farhh Go down to Royal Ascot for his first run outside of Yorkshire in the three-year-old colt and geldings only Group 2 contest, the King Edward VII Stakes, over 1m 4f. 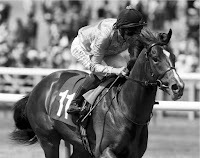 Unbeaten in two starts as a juvenile, his only career loss came last time out in the Dante Stakes when sixth of nine to subsequent Epsom Derby third Roaring Lion, who when visiting Timeform is now rated 122. It may well be worth forgiving Wells Farhh Go that run in return for best King Edward VII ante-post odds of 16/1. Yorkshire connections were involved with the winner of this race last year when Mark Johnston's Permian was first past the post. With just those three career starts under his belt, Wells Farhh Go remains open to huge progress and must have every chance of staying a mile-and-a-half on breeding. This is because he is out of a mare by Derby winner Galileo, who was a three-time winner at the trip, including at Ascot. Roger Varian and Sheik Mohammed Obaid Al Maktoum may be double-handed in the 1m 4f Hardwicke Stakes on the last day of Royal Ascot this year through Defoe and Barsanti. The latter is a six-year-old course and distance winner in Listed company last time out who was also a late-running half-a-length runner-up in the race 12 months ago, behind Idaho. Both Barsanti and stablemate Defoe carry an official rating of 115, so the only way to split them is on age and the greater scope the younger horse has for improvement. Defoe disappointed last time out, though, when third to Lancaster Bomber when sent off favourite for the Tattersalls Gold Cup at The Curragh. Barsanti is the one with the big run at the highest level under his belt, yet he's a larger price in the betting at 12/1. Whether connections will run both horses in the Hardwicke remains to be seen.